We’d love your help. Let us know what’s wrong with this preview of The Girl In Between by Laekan Zea Kemp. To ask other readers questions about The Girl In Between, please sign up. Was anyone else pleasantly surprised by this book? Is there more on this story line? I sure wasn’t expecting this one to take me by storm with its sheer brilliance and originality! Sit back, let go of those niggling little doubts about “could this really happen just like this,” and enjoy a strong teen heroine in an unimaginable situation! THE GIRL IN BETWEEN by Laekan Zea Kemp is complete entertainment from start to finish. Bryn is like a real life sleeping beauty. She could fall asleep and remain that way for days, weeks or even months, but while the world moves on all around he I sure wasn’t expecting this one to take me by storm with its sheer brilliance and originality! Sit back, let go of those niggling little doubts about “could this really happen just like this,” and enjoy a strong teen heroine in an unimaginable situation! THE GIRL IN BETWEEN by Laekan Zea Kemp is complete entertainment from start to finish. Bryn is like a real life sleeping beauty. She could fall asleep and remain that way for days, weeks or even months, but while the world moves on all around her sleeping form, what is going on in her mind? Bryn isn’t in a suspended state, only to awaken with no memories of what happened, she goes to an alternate reality where a boy waits for her return. Is he real? Is he a figment of her imagination? Doctors are baffled, or so they say, but will Bryn find they know more about her condition then they let on? Who is the boy? What does his existence in her dream world mean? Wonderful writing, great pacing and a cast of characters that range from a quirky grandmother to the best friends a girl could have! I enjoyed THE GIRL IN BETWEEN and definitely recommend it for young adult readers looking for something just different enough to be mesmerizing! This book BLEW ME AWAY!! A unique and emotional book centering around Bryn and her battle with KLS or otherwise known as "Sleeping Beauty Syndrome"
This is her journey trying to juggle school, getting accepted into college, her ex, graduation, prom all while battling her coma-like sleeps lasting anywhere from a few days to months. Normally she would retreat into her dreams that would consist of her past memories until it was time to wake back up ----- until suddenly a mysterious boy appears washed up on the shore. He has no recollection of who he is or why he is even there. 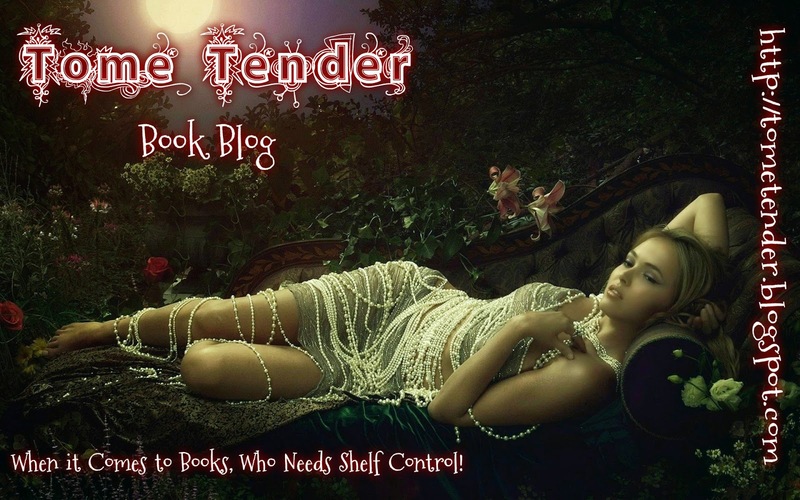 Bryn must figure out why this boy is there stuck in her dream world or if he is even real. It seems though that he isn't the only thing Brea must deal with...a shadow seems to be following her around and it has every intention of killing her. Action packed...thought provoking and original! This book was wonderful & FREE!! Why havent more people heard of it?! I found this book when looking through the Fantasy / Paranormal Freebies on Amazon and so glad I did! When Bryn is having one of these episodes she dreams of a place made up of all her memories and things shes lost in her short life. Shes alone here until a boy, Roman, washes up on the beach and she saves him from drowning. So begins the race to discover if Roman is a 'coping mechanism' her mind has devised to combat the loneliness the disease has caused, or a real boy. The 'Between' where Bryn and Roman spend there time together really intrigued me. Maybe I'm a meglomaniac but I've always wanted a universe I could change and control, and represented your personality and passion, a la a move i Love, What Dreams May Com.. I loved the parts of this book which took place in this setting. Bryn fought for her dreams, and I found it actually inspiring! "that slight twinge in my stomach wasn’t because of Drew or Jessica, or Dani and Felix, or that one weird kid who sat behind me in Stats and always smelled like mayonnaise, or my Freshman algebra teacher whose name I could never remember and who was standing by the exit flirting with my old gym teacher who always called me Stacy. It wasn’t Carla Friedman who was kind of my friend until she got a nose job and became a cheerleader. It wasn’t the pretentious tree hugging vegans who shunned me for shaving my legs, or all of the people who’d had classes with me and sat next to me for years and never said a word other than to ask for a pen. In fact it wasn’t the faces I recognized at all. It was the ones I didn’t. It was me standing alone in that dark corner, watching the culmination of four years of trying to skate under the radar finally working. I’d spent most of my life hating them, avoiding them, pretending like they didn’t exist. When I was the one who never really existed." That really struck a nerve with me, the feeling of being on the outside of the popular crew took me right back to high school! (view spoiler)[ The Reveal of the night of Riomans accident felt a wee tad rushed, but guess it will be developed more in book two. Same with the German doc spilling his guts about his daughter. If You looking for a well written, YA Paranormal with a unique concept, excellent world building, well rounded characters and HEART. pick this up 'cos its free and so UNDERRATED!!! It's been over a year now since I've got to read Breathing Ghost, I believe Leakan's first book and I couldn't believe that I had a chance to read such an interesting book. I fell in love with her writing then and I couldn't wait to read her new books. So I have finally got a chance to read The Girl In Between. Knowing little about the author, I assumed that I'm going to read something unusual here and I did, in fact. It's a story about Bryn, who suffers fro Review also posted at Ja čitam, a ti? Knowing little about the author, I assumed that I'm going to read something unusual here and I did, in fact. It's a story about Bryn, who suffers from KLS, a thing I didn't know existed until I started this book. It's a real deal people, a real disease when people unexpectedly fall asleep and spend some time sleeping. The same has been happening with Bryn. She would suddenly drift of and sleep for days and of course that influenced her teenage life. She missed a lot of school and what is more a lot of deadlines. But the biggest problem was how the others behaved as if she was a freak. But there is one thing that almost no one knew about and it's what happens while she sleeps. Here we enter a new imaginary world where things don't always go according to the plan. It's not only writing and how unusual this book was that made me like it so much. It was also how things seemed real at the same time, there was this background to the story which was really interesting and I cannot wait to read more about it. Besides, I always wondered what happens in human brain while it's in some sort of coma, and like the answer here (well, all but scary parts). Honestly feeling very underwhelmed by this book. The description drew me in but the content was a let down. Didn't have any connection with the characters, no chemistry, the book was very hard to get into, couldn't tell who the narrator was for the first half of the book and the end was very anti-climatic. Will not be continuing with the series. The concept is good, but the story itself is quite uninteresting (same for the characters). I wouldn't say "don't read it" but I wouldn't say "read it" either. What sort of horrible cliffhanger is that!? I have like 4 other books I've been WAITING to read, but I need the fricken sequel for this! What a phenomenal book. A book so sensual and real and thoughtful that I couldnt help but drown in it’s world. The story follows a girl who has a rare disease called Klein-Levin Syndrome. It causes the patient to sleep for long periods for an indefinite amount of time. We follow Bryn through her life between the real world and her dream-like state, trying to put her life back together into a sense of normalcy for her own sake as well as others around her. Then this boys who has no past, no memories shows up in her head. At first, she believes he is a figement of her imagination until it becomes apparent that he is more real than most things in her life. We go through a whirlwind of a story trying to figure out who this new boy in Bryn’s dream is and how he came to be in her head in the first place, live through Bryn’s eyes and heart to learn how she’s coping and moving on with her life. Add to that some drama of her ex-boyfriend, her cousin’s denial of a love for her best-friend who has been in love with her since they were 8 years old, not to mention that her father keeps showing up- undesired- by everyone after leaving her and her mom 6 years ago and claiming that he wants forgiveness even tho he’s not really working on it, and lastly her mother’s miserable life who she dedicates entirely towards her daughter and is never happy. This book is nothing like you would expect when getting into it. It’s so full of raw and real emotions from every character in the story. I wasn't a fan of the writing style because the author jumped around too much. There were many instances where I was confused due to the characters suddenly being somewhere else, and no it wasn't because I was skimming more than reading. Overall, it was an interesting idea, just badly executed I think. "Two years earlier they'd lost Bryn's uncle, Dani's dad". I'm a little confused about this part. -There were three brothers then? Sulfur tears? How would someone have tears that what? smelled like sulfur? So the person is crying fart smelling streams from their eyes? How was Bryn that deluded to where she thought she'd actually be able to go off to school? I mean seriously. Did she not realize the additional stress she was causing her mother? So apparently Bryn had a birthmark next to her lip that we, the reader, don't find out about until the near end of the story. "I love you." Bryn's last words to Roman before she woke up. How does she love him exactly? She doesn't even know him. So the majority of Bryn's episodes involve her sleeping for several weeks, yet there was never any mention of a nurse or anyone coming back. Assuming that was the case, her mother was administering the catheter and whatnot for Bryn? The cover is lovely. The blurb promising. But at 47% I'm finding it more and more difficult to keep interest in a story which I find to be dragging, the plotline disappointing so far which is giving me trouble to engage, especially when I have no emotional connection to any of the characters at all. So it's a DNF sadly. I guess I'm just somewhat underwhelmed? The premise was good, but it kinda drags at certain points and it needs some editing. I feel no connection with any of the characters, and that makes it hard to care about them at all. There's more books in this series, but at the moment I don't feel inclined to read them, although I might eventually. This was a great read for me. Confusing at times but I loved it. Of course there was a cliffhanger. NO WAY THAT JUST ENDED THAT WAY!! AAAHHHH ARE YOU SERIOUS?!?! Cliffhanger and there is no sequel?!?! DOES THE UNIVERSE HATE ME?!? 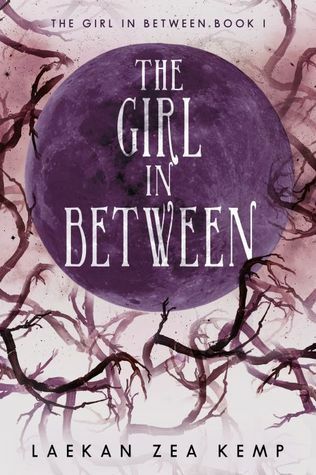 The Girl In Between is unlike any book I’ve read before and is an excellent start to a YA paranormal series. Even better is that all books in the trilogy are now available to read. I was a little unsure about this book at first, but once I got a quarter of the way into it, the story really grew on me and grabbed my attention, and I found it very difficult to put down. The story focusses on a teenage girl named Bryn who has a rare sleep disorder called Klein-Levin Syndrome or KLS. This illness is o The Girl In Between is unlike any book I’ve read before and is an excellent start to a YA paranormal series. Even better is that all books in the trilogy are now available to read. The story focusses on a teenage girl named Bryn who has a rare sleep disorder called Klein-Levin Syndrome or KLS. This illness is often referred to as Sleeping Beauty Syndrome, and this book can be seen as a unique take on that fairy tale. I really loved the idea of this story where Bryn enters a curious realm during her extended sleeping episodes and it is also where she encounters a mysterious boy. Bryn tries to work out who he is, why he’s in her other worldly realm, and if he’s real or not. Happening at the same time are Bryn’s visits with medical specialists, hoping to find a cure for her disorder. The last part of the story was simply mind blowing and I can’t wait to continue on with the second book in the series. All the characters in this book are complex and three dimensional, as well as being real and believable. I really liked Bryn, seeing her strengths as well as her weaknesses, and I really felt for her as she deals with her illness and attempts to maintain a sense of hope that one day there will be a cure for KLS and she will have some normalcy in her life. I especially enjoyed the character of Bryn’s grandmother who made me laugh a lot and who seems to have some sort of mysterious connection to Bryn’s illness. The Girl In Between is a captivating tale full of surprising twists and turns and I found it to be very intriguing and suspenseful. A perfect paranormal story with an original premise, wonderfully written with interesting and real characters, that also handles a variety of teen issues and how a debilitating disease not only affects the individual but how it affects those around them as well. I thoroughly enjoyed this book and highly recommend it to lovers of paranormal stories. "My dearest Bryn, dream with your heart and the universe will bend at your will"
I loved The Girl In Between. I loved that it made me feel that I was trying to figure out what was happening right along Bryn. This is the story of a girl that suffers of Klein-Levin Syndrome, which means she sleeps for days and even weeks in a row. She doesn't dream during her prolonged sleep but she goes to a place in her mind fill with memories, and so has been for the last four years until things start to change. "My dearest Bryn, dream with your heart and the universe will bend at your will"
I loved The Girl In Between. I loved that it made me feel that I was trying to figure out what was happening right along Bryn. This is the story of a girl that suffers of Klein-Levin Syndrome, which means she sleeps for days and even weeks in a row. She doesn't dream during her prolonged sleep but she goes to a place in her mind fill with memories, and so has been for the last four years until things start to change. Even though the protagonist is Bryn she depends a lot of other people to help her catch up in the real world when she is finally awake, she hopes one day to be free of her sickness and be able to be normal. Her mom is a strong woman who has a huge weight in her shoulders, Bryn's uncle is the father figure she has always needed, Dani is her wild but loving cousin, grandma is a little weird, and Felix is her funny best friend. All these great characters created a wonderful story. This book is weird and I was consumed by the plot, at times I was a little scared but I'm glad I didn't miss a thing about it. The Girl In Between was cute and had me a little on tears but mostly I was laughing so hard, mainly laughing at Felix and Dani. You'd think that Bryn would love someone who has stuck by her even when she wasn't conscious. Instead Bryn is constantly - and I mean constantly criticizing her cousin. But I wasn't like her. I didn't have a new boyfriend every week just so I didn't have to feel alone. I wasn't weak...like that. Dani's eyes were swollen, red freckles spotting her cheeks. I wasn't really in the mood for Dani's drama. Dani's mild eating disorder was definitely the most annoying thing about her. Every mention of Dani is filled with hate and judgment - about her choice in boys, her eating, her clothing. It made it hard to connect with Bryn as our main character. Bryn also does one of those "I'm different than everyone else" things. It's true her condition sets her apart and she struggles with wanting to be normal. But her comments are, again, more judgmental. I'd never been the typical kid who wanted a pony or a goddamned trip to Disney World or a new car or a closet full of designer clothes. There's another lengthy quote as well about Bryn looking into the mirror and how some "other girl" like Dani might see flaws but Bryn is just happy to look healthy. It's important that Bryn wants to look healthy and has a positive body image but why does that come at the cost of slandering "other girls?" The actual story itself was an interesting premise. Bryn is unique with her syndrome in that she dreams and goes to a place of her memories. One day a boy washes up on the beach in her mind and he is a new mystery. I am definitely curious about what happens next. What is really going on with Bryn? What are the shadows following her? Is she the only one? The writing was slow (and needs editing in places) and so I would hope that in the next book (which I may or may not read) the pace picks up. Please allow me to start by saying, OH MY! Sadly, I do not mean that in a good way. This book has so much potential. On some parts, it is pretty good, but then on the rest, it is difficult to read and understand. The author tries to add these…poetic (?) parts. The ideas jump around, and there are moving objects within. Let me back up to what this book is about, because as I said, it is a really cool idea. This girl is diagnosed with a disease that makes you sleep randomly and for an unknown amoun Please allow me to start by saying, OH MY! Sadly, I do not mean that in a good way. This book has so much potential. On some parts, it is pretty good, but then on the rest, it is difficult to read and understand. The author tries to add these…poetic (?) parts. The ideas jump around, and there are moving objects within. Let me back up to what this book is about, because as I said, it is a really cool idea. This girl is diagnosed with a disease that makes you sleep randomly and for an unknown amount of time. When the main character, Bryn, is in this state she becomes a zombie-like person to those around her. She can still eat and drink, but she is unresponsive. When she is in this state, in her mind she is in this…alternate world that consists of places she has been in her life. In that world, she is the only person there, until this boy washes ashore. Now she needs to figure out why and what is really wrong with her. Oh! I cannot forget to mention the amount of fragment sentences this book contains. For Example: “He wasn’t the sentimental type. The desperate, divulging type.” What about the desperate divulging type? Was he that? Or is she listing other types that the guy is not? There are also inconsistencies. For example in one chapter Bryn is complaining about the nurse she got because the nurse is bad at drawing blood and then a chapter later Bryn is saying that she has had so much blood drawn that she does not even feel the needle anymore. Just so you know, it had only been at most one weeks since the blood was drawn and she had not gotten more since that day. There were others like this one throughout the book and throughout the characters personalities. Bryn is a sleeping beauty. She has Klein-Levin Syndrome. It makes her sleep for weeks and weeks. But when she’s in this state of sleep, she’s not like the other patients. She dreams. Except the dreams feel extremely real and she’s not alone there. Her symptoms are worsening and if she doesn’t figure this out soon, she’ll run out of time. I enjoyed this book quite a lot. I’ll start in the reverse order than I usually do these reviews in and talk about the plot first. The plot was my favorite. It kept me on my toes the entire time wondering what was actually going on. I really enjoyed the whole mystery of it. What was actually happening? What’s fake? Could she be unreliable? I honestly don’t know. There were so many great things that caught me by surprise. I can’t say them though be spoilers. The characters were okay. The main character, Bryn, was either unreliable or reliable. I couldn’t figure out which. I loved how driven she was to try to have a normal life. Dani, who is one of her only friends, was a cool character. I loved how she supported Bryn. Then there’s Felix, the love interest for Dani. He was my favorite character. In the book, I thought of him as a geeky person. Dani and Felix’s relationship was just a relief to all that was going on. It could be all about the mystery then go straight into arguing about the relationship. Now onto Drew. First off, let me say I hated him. Like, I really hated him. Drew is Bryn’s trash of a ex-boyfriend. He was just to jerky and annoying in the book. And how did he just keep popping up everywhere? Just wondering. Overall, I enjoyed this book and it was a lot of fun to read. Author Laekan Zea Kemp adds her own twist to the complex neurological disorder, KLS, in this fascinating young adult urban fantasy about a real life sleeping beauty. Teenager Bryn Reyes spends more than half of her life asleep. When her eyes shut, she wakes up in an alternate dreamland reality where she navigates through a world of her own mixed memories. During one of her episodes, a real boy washes up on the shore in her dreams with no memory of how he got there, or of who he is. I loved the nostalgia Bryn experienced as she navigated dreamland. Bryn’s dreamlike states felt dreamlike to me. When Bryn was in her alternate reality, the story unfolded much like a dream would — kind of confusing, hazy, mixed memories of the past. Basically, it was very convincing. I loved the twist with the boy who washed up on the shore. The discovery of his former self was heartbreaking. I enjoyed the race against time and the super sweet ending. BUT I HATED THAT CLIFFHANGER! :) because I wanted more! Holy wow, what a place to conclude the book! Execellent book. Very creative and well written. I really enjoyed. Couldnt put it down,even though it was a little predictable ! Better than expected. Not a bad read for anyone who likes real-world YA romance with a twist.
" That was one of the worst things about being sick. Someone was always waiting on you, which meant disappointing people was inevitable." As a person who has mixed headaches ( Migraine + Tension headache), I almost cried upon reading the quote above. I missed out on a lot of University events because of my headaches, which obviously made me upset. But then I have to call someone to apologize about missing an outing,etc..Now that always made feel so much worse. I remember missing out on our senior " That was one of the worst things about being sick. Someone was always waiting on you, which meant disappointing people was inevitable." As a person who has mixed headaches ( Migraine + Tension headache), I almost cried upon reading the quote above. I missed out on a lot of University events because of my headaches, which obviously made me upset. But then I have to call someone to apologize about missing an outing,etc..Now that always made feel so much worse. I remember missing out on our senior photoshoot day because I literally couldn't get out of bed, and the number of people who called me, or asked me the day after why didn't just come.... Ugh, it makes it so much worse because now guilt, that is not supposed to exist, takes over my thoughts and emotions for a while. So this is a story about Bryn, a girl with KLS ; aka, Sleeping Beauty Syndrome. When she is sleeping (not the type of sleep that we usually have because yes, she can also sleep like everyone else), she lives in a house that is created from her memories. No-one but her goes to that place. When she is awake, she is torn between hustling all of the schoolwork that she missed, and visiting her Dr & trying new treatments. Oh, and she has to deal with her annoying on-again- off-again ex boyfriend. Okay, but what is KLS? The book is for free on kindle by the way, so if this sounds like your cup of tea, the get it. Beginning this series would cost you nothing. I like how MH was integrated into a Fantasy novel. I believe that we really need more MC with Mental Illness that participate in all sorts of genres. The book doesn't ignore how the illness is probably going to affect Bryn as she grows up. The Discussion of applying for college, and enrolling as a college student was done in a really good way. Having high hopes isn't healthy; being realistic is the best thing to do, but never stop trying or dreaming . This is me summarizing that part of the book, and it hits close to home. When I finished this, I didn't feel like I read a MH book. But as I write this review, I can see how strongly this book has affected me. Again, I was so pleasantly surprised :) I wasn't completely sure that I would like this - the description was somewhat interesting, but it was the cover that sold me on it, because it's probably the most beautiful cover ever!! The plot itself turned out to be very interesting, and there were a few times I feared that it was going in a wrong direction, but it didn't and it continued on a great path. I have no idea how faithful this is to KLS, but it was interesting to see the doctor's appointments Again, I was so pleasantly surprised :) I wasn't completely sure that I would like this - the description was somewhat interesting, but it was the cover that sold me on it, because it's probably the most beautiful cover ever!! The plot itself turned out to be very interesting, and there were a few times I feared that it was going in a wrong direction, but it didn't and it continued on a great path. I have no idea how faithful this is to KLS, but it was interesting to see the doctor's appointments and the way it affected her family - the family aspect of the book was great, you really got to see Bryn's relationship with her mother, grandmother and uncle. This book took forever to get to the point and I found myself losing interest fast and skimming over the pages just to get through it. The plot sounded so good, but way too slow and at times confusing. The ending really bothered me as well. After slogging through the book you think finally, and then it's so anticlimactic you want to scream. I’ll admit it, I’m extremely skeptical when it comes to the free YA books I find for my Kindle. They all seem to be the exact same plot with the exact same characters, regurgitated over and over in different settings and in different guises. It’s gotten to the point where I rarely even read the YA freebies anymore. But this one is different. First of all, the premise struck me as something new and exciting. I love a paranormal teen romance as much as the next YA reader, but the fact that this doe I’ll admit it, I’m extremely skeptical when it comes to the free YA books I find for my Kindle. They all seem to be the exact same plot with the exact same characters, regurgitated over and over in different settings and in different guises. It’s gotten to the point where I rarely even read the YA freebies anymore. But this one is different. First of all, the premise struck me as something new and exciting. I love a paranormal teen romance as much as the next YA reader, but the fact that this doesn’t fit into that category is extremely refreshing. It’s about a girl who has been diagnosed with Klein-Levin Syndrome, meaning that she falls asleep for long periods of time – anywhere from a few days to a couple of weeks. While she’s asleep, she goes to this dream world that strikes me as being super similar to that creepy city-on-the-beach limbo world in Inception. You know, it’s built out of memories, she can control what happens…sound familiar? Personally, I love Inception, so I am a-okay with that. Anyway, one day this boy shows up washed up on Bryn’s beach. He’s nearly dead and Bryn saves his life, but the first half of the book (and maybe even the first three quarters) are spent with her trying to decide if he’s real or not. SPOILER ALERT: He’s real. Super real. And he’s in her head, which is a mystery that Bryn sets out to solve in the real waking world. Meanwhile these shadow beasties are out to get her (kind of like in Kingdom Hearts) and she’s pretty much running for her life. The plot itself is refreshing – no love triangles, no teenage angst, no fake best friends. Bryn does have her worries and obstacles to overcome, of course, but they relate to the real complications that her illness causes in her daily life, as well as how her “Sleeping Beauty Syndrome” affects her family. This is real, you guys. Bryn herself is a pretty kickass main character. So she’s not running around shooting people and saving the world like Katniss and Tris – this isn’t that kind of story anyway. I feel like the series may have the potential of becoming a bit more action-packed due to the creepy shadows that are after her, but mostly it’s a mind game. Bryn lacks the self-doubt that most of the protagonists in these YA novels seem to have. She never walks around thinking that she’s ugly when she’s actually super pretty, she never obsesses over what other people think of her, and even better, she doesn’t freak out about whether or not the boy she loves actually loves her back. She’s got more important things to worry about, such as if she’ll be able to live a normal life as a college student with her disease. Or, you know, how to escape from these shadow things with her life. He’s a real teenage kid who makes mistakes and has issues with his home life. He’s far from perfect, and I love him for that. So does Bryn. That’s the one thing about this book that kind of gave me pause: Roman and Bryn fall in love, as does every other teenage couple in the history of YA. While it’s not completely out of the blue, it does seem a bit intense. But hey, maybe this Inception-like dream world makes you more likely to wear your heart on your sleeve. Who knows? Though this book didn’t completely blow my mind, I definitely enjoyed it, which is more than I can say for a lot of the other YA freebies out there. Plus it intrigued me enough to convince me to buy the second book in the series, so that has to count for something, right? This book is actually really good, especially since it was a free ebook 😱😁 Only half way done but I'm looking forward to seeing where it goes. Ok, to finish this review. This book was really interesting and I can't wait to read more! The whole idea of *SPOILER ALERT* something dark, a shadow, following her both in her dream world and then while she is awake? It SMILED at her?!? Her grandmother's flowers rotting and turning black and it spreading? It's so good and so creepy This book is actually really good, especially since it was a free ebook 😱😁 Only half way done but I'm looking forward to seeing where it goes. Ok, to finish this review. This book was really interesting and I can't wait to read more! The whole idea of *SPOILER ALERT* something dark, a shadow, following her both in her dream world and then while she is awake? It SMILED at her?!? Her grandmother's flowers rotting and turning black and it spreading? It's so good and so creepy I can't believe I've never heard of this book before. Laekan Zea Kemp is a writer living in Austin, Texas. She received her B.A. in Creative Writing from Texas Tech University and her M.F.A. in Teaching from the University of North Texas. She’s the author of the paranormal romance series, The Girl In Between, and the forthcoming young adult novel, Pen & Xander. When she’s not writing she’s religiously re-watching Buffy the Vampire Slayer, reading Laekan Zea Kemp is a writer living in Austin, Texas. She received her B.A. in Creative Writing from Texas Tech University and her M.F.A. in Teaching from the University of North Texas. She’s the author of the paranormal romance series, The Girl In Between, and the forthcoming young adult novel, Pen & Xander. When she’s not writing she’s religiously re-watching Buffy the Vampire Slayer, reading anything by Melina Marchetta, and teaching English as a Second Language to the most amazing teenagers from all over the world.